I previously said that poaching for the Traditional Asian Medicine (TAM) trade is the most immediate threat to wild tigers. But there is another issue that could lead to Panthera tigris’ extinction: habitat fragmentation. Although tigers are habitat generalists, they are reluctant to cross human-dominated terrain (Smith, 1993). This means that as protected areas in tiger range countries become increasingly surrounded by civilization, tiger populations are becoming isolated (Harihar & Pandav, 2012; Gubbi, Mukherjee, Swaminath, & Poornesha, 2015; Wikramanayake et al., 2011). The isolation brought about by habitat fragmentation has serious implications. First of all, it can lead to high levels of inbreeding that will reduce the genetic fitness of a population (Mondol, Bruford, & Ramakrishnan, 2013; Yumnam et al., 2014). Small populations of large carnivores are also vulnerable to human-caused mortality at the edges of protected areas (Woodroffe & Ginsberg, 1998). This may be especially true for tigers. Smith (1993) found that when prime habitat was not available, dispersing male tigers sometimes settled near human-dominated landscapes until a better territory opened up. 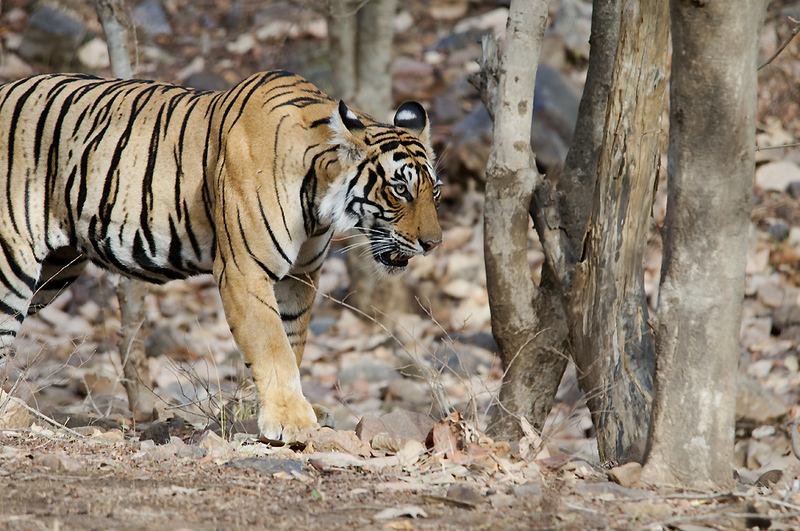 This carries substantial risks for tigers, and might lead to human-tiger conflict. Lastly, habitat fragmentation can exacerbate the effects of poaching (Cushman, McRae, Adriaensen, Beier, Shirley, & Zeller, 2013). If populations are isolated, tigers from neighboring reserves cannot help replace hunted individuals. This contributed to the extinctions of tigers in Sariska and Panna reserves in the early 2000’s (Yumnam et al., 2014; Wikramanayake et al., 2011). A popular solution to lessen the effects of habitat fragmentation is the establishment of biological corridors. These are pathways of viable habitat that allow animals to move throughout a landscape. Sufficiently protected corridors can encourage gene flow between populations (Mondol et al., 2013; Rabinowitz, 2014), partially offset losses from poaching, and benefit more creatures than just the target species (Yumnam et al., 2014). Moreover, establishing biological corridors presents an excellent opportunity for community involvement. Local people played an important role in restoring habitat connectivity in the Terai Arc Landscape (TAL) of northwestern India and southern Nepal (Dinerstein et al., 2007). Involving the public in conservation activities has been linked to environmental advocacy (Silvertown, Buesching, Jacobson, & Rebelo, 2013), so it should be pursued whenever possible. Given that conservation funding is in short supply, is it better to focus on habitat connectivity or reducing human-caused mortality within reserves? Ultimately this will come down to what is most necessary in a given area. For example, Yumnam et al. (2014) used genetic testing to determine that tiger populations in central India face imminent isolation. Tigers in Bandhavgarh National Park were already cut off from neighboring reserves. In such a case, immediate action should be taken to reestablish connectivity and safeguard existing corridors. But tigers’ biological characteristics make them more vulnerable to human-caused mortality than smaller felids (Chapron et al., 2008). This means that in general, poaching within protected areas should be addressed first. When tigers are not sufficiently protected their numbers decline: sometimes drastically. Therefore poaching within source sites must be brought under control in order to allow for healthy dispersal behavior (Walston et al., 2010). In 2010, all 13 tiger range countries vowed to double wild tiger numbers by 2022 (GTRP, 2011). To my knowledge, this is the first time the world has united so strongly for a single species. 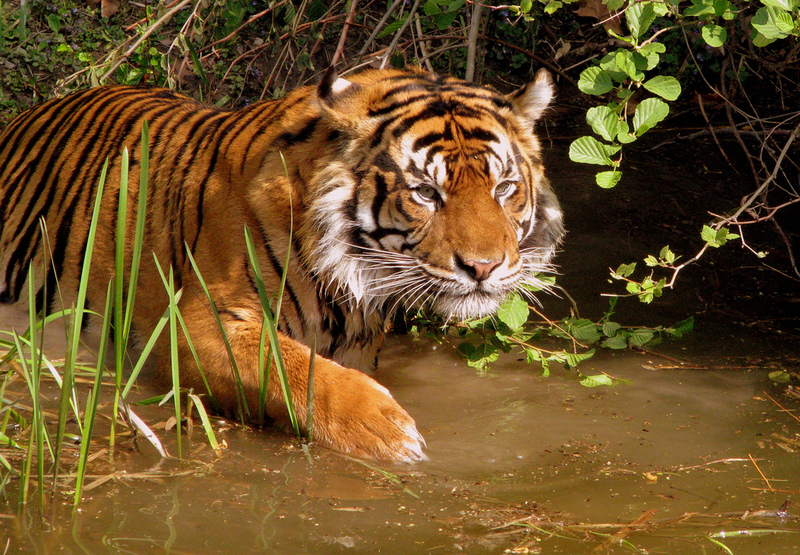 Poaching of tigers must be significantly reduced in order to ensure their short-term survival. But once adequate protection has been established in a location, landscape-level connectivity needs to be secured. Of course this is a general strategy, and it may have to be altered to fit specific situations. Above all, conservationists should continuously monitor the effectiveness of their interventions. This will allow them to identify the actions that will most effectively lead to a better future for both people and tigers (Pullin, Sutherland, Gardner, Kapos, & Fa, 2013). Pingback: Connecting the dots for Tigers | Blogger's World! 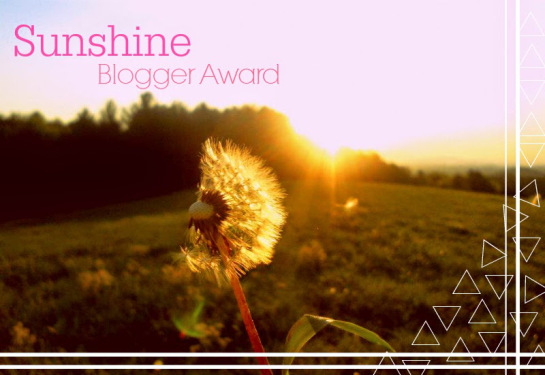 A really interesting post, thanks for writing! I The conclusions from the Yumnan paper you mention are pretty worrying. Do you know if any action has be taken to prevent complete isolation or have no steps been taken yet? I suppose it was quite a recent paper so plans for some sort of action may still be being formulated. On the topic of this, it was a few years ago now, (six to be exact) but the BBC aired a documentary entitled Lost Land of the Tiger where a team, led by Alan Rabinowitz tried to find evidence of tigers in Bhutan to create a large tiger corridor through south central Asia, it was a really interesting series. I’m not sure if anything’s been done yet regarding Yumnam et al.’s findings, but i hope they have. Bandhavgarh is one of the world’s most important sites for tiger conservation, so its isolation is definitely a problem. I saw that article documentary years ago! But I had no idea Alan Rabinowitz was in it. Of course I watched it before I even knew who he was, so if he was in the film I probably took no note of it. I don’t think I fully realized how exquisite these animals are until I began to follow your blog. Amazing post Josh ! I found it very informative. I think it can be useful also to integrate environment and natural landscape lessons ! Thank you! Integrating environment and natural landscape lessons, AKA green infrastructure, into development projects is incredibly useful. Not only will it make it easier for wild animals to move about, but it’s better for people too. I’ve seen a few articles about how simply being around trees can improve our health and well-being. So more natural spaces in human-dominated landscapes will be a win for both people and wildlife. Tigers are such exquisite creatures! 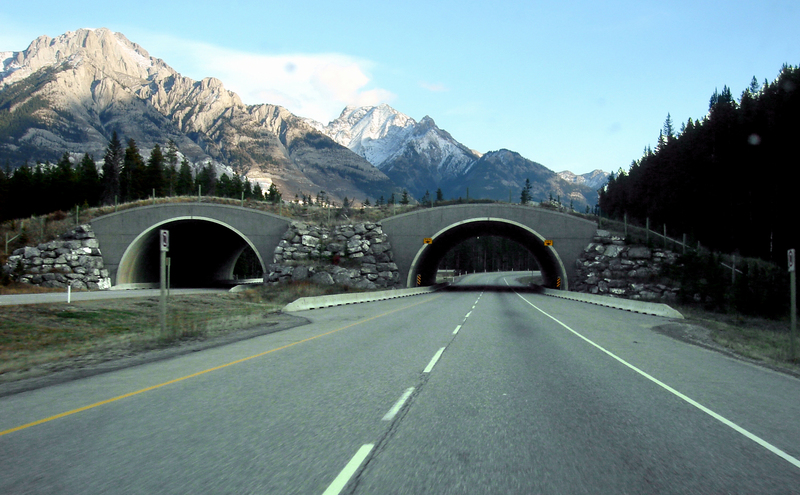 I really liked the usage of the Wildlife overpasses, I think more countries should opt the usage of wildlife overpasses like Canada. I didn’t know so much about my own country. Thanks for this post, Josh. Was a real eye-opener. Natural corridors is such a brilliant idea to protect and maintain natural habitats in co-existence with development. The corridors could even be barricaded and the area fenced in to prevent the animals from being exposed to or becoming the cause of danger. Don’t feel bad, it seems like there’s a lot to know about India! So many diverse ecosystems, to say nothing of the rich cultural history. The corridor idea is catching on more and more now. Sooner or later I’ll write about the Jaguar Corridor Initiative, which is an attempt to basically connect all of the protected areas in Latin American that harbor jaguars. It’s one of the most ambitious conservation initiatives ever. As for the fences, in some cases that may well be necessary. I watched a documentary about the Iberian Lynx, one of the most endangered cats in the world, and conservationists were hoping to build an overpass to help the lynxes cross a busy highway. They talked about fencing in this overpass, as well as creating a sort of “funnel” of fencing that would lead the cats to the overpass. The idea here was to keep the cats from trying to cross the road at more dangerous spots. But it might prove too difficult to fence in some corridors. Some of them are comprised of stepping-stone like islands of fragmented forest, instead of unbroken pathways of suitable habitat. In addition, some corridors are multiple kilometers wide. It would be hard (and expensive) to completely safeguard them. That’s one of the reasons why legal protection should be combined with attempts to increase tolerance for wildlife. People might be more likely to not kill animals or find non-lethal ways to reduce conflict (such as adopting proactive livestock management practices) if they genuinely care about them. A real eye-opener. Your posts are so educational! Thank you Khaya! 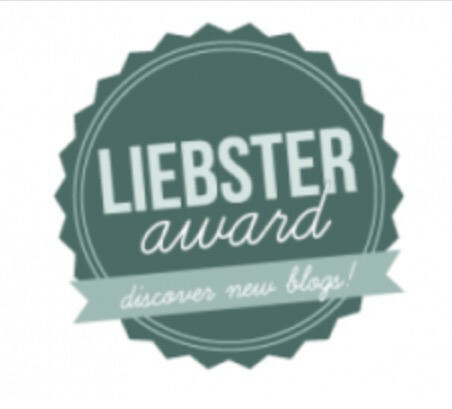 That’s one of the best compliments I’ve received about this blog! This was a great read. Do you happen to know how well the attempts to increase numbers are going? Given that we’re now halfway to 2022? Hello Becky, thanks for stopping by! I know that some areas have reported increases in tiger numbers. Amur Tigers in the Russian Far East have risen to approximately 540 individuals; which is quite a step up from the estimated 40 tigers in the 1940s. Last year India also reported a 30% increase in its tiger numbers, but this is almost certainly an exaggeration. But in other areas tiger numbers are still falling. Population estimates in the Bangladesh Sundarbans have dropped by nearly 300 tigers since 2004, but this is partly due to more accurate monitoring techniques. And tiger numbers remain unknown in much of southeast Asia. To summarize, some efforts to boost tiger numbers are succeeding whereas others are not. So until all tiger range countries complete thorough population censuses it will be difficult to determine the overall trend. Well I guess we can be cautiously optimistic then, right? If it’s working in some places all we need to do is try to apply those techniques in the places where it’s not working yet. At least, I hope so, I wouldn’t be surprised if it’s not quite as simple as that. Yes, cautious optimism is the best response right now. And in general applying strategies that have proven successful to areas that are struggling to increase tiger numbers is the way to go: with several caveats. 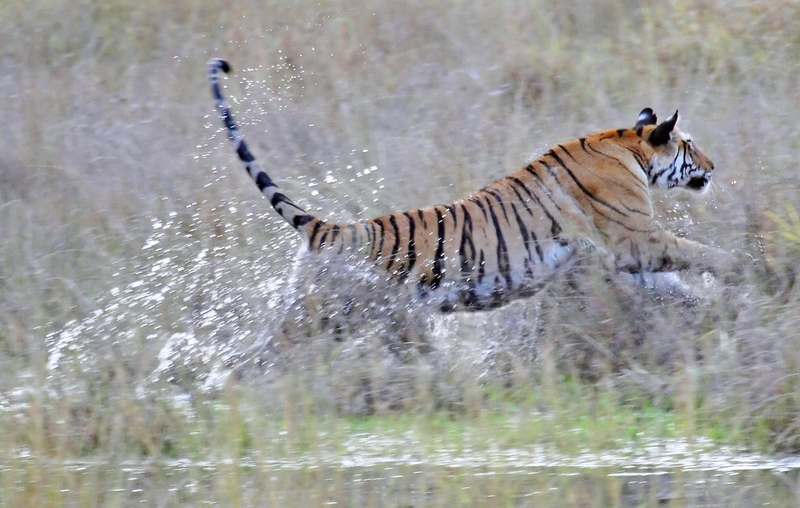 The techniques need to be tailored to fit specific sites, because the dominant threat to tigers might vary between location (although poaching is a problem almost everywhere). Also, the socio-economic and cultural factors can vary markedly between regions. This might have a strong influence on how successful conservation strategies are. Different nations have varying levels of resources they can devote to tiger conservation, and in some areas it might be harder to win the support of local people.